Despite what some people say, the landscape of anti-racism organizing is very different today. Universities, as with other institutions, will have to be far more responsive to the increasingly public student protests against racism and hostile educational environments experienced by Black students and other groups of students who find themselves on the receiving in of white racism and related hostility. Whether it will fundamentally transform the mission, nature and culture of these educational institutions, I'm not as convinced; however, that has to remain the goal. A revolt by African-American students at the University of Missouri has forced two top officials to resign. On Monday, President Tim Wolfe and Columbia campus chancellor R. Bowen Loftin announced they will step down in the face of protests over their handling of racism on campus. African-American students have staged weeks of demonstrations against what they called a lax response to bigotry and vandalism. In a key moment Saturday, African-American football players joined the protest, vowing to boycott games and other team activities until Wolfe resigned. We are joined by Mizzou student Danielle Walker, who has organized "Racism Lives Here" demonstrations on campus; and University of Missouri Black Studies Chair Stephanie Shonekan. "[Racist] incidents just seem to be almost a rite of passage for black students when they enter the University of Missouri," Walker says. "I think it is atrocious that these protests had to get to this point in order to truly bring about change, that a student was willing to give their life in order to bring the necessary attention [to] what we have been experiencing so long at this university." The protests at the University of Missouri have been growing for weeks, but a turning point came this weekend when African-American players on the school’s football team joined in. In a tweet quoting Dr. Martin Luther King Jr., the players wrote: "The athletes of color on the University of Missouri football team truly believe 'Injustice Anywhere is a threat to Justice Everywhere.'" They announced they will no longer take part in any football activities until Wolfe resigned or was removed "due to his negligence toward marginalized students’ experience." The coach and athletic department soon came out in support. We are joined by Dave Zirin, sports columnist for The Nation magazine and the host of the Edge of Sports podcast. The protests at the University of Missouri come as a similar dynamic plays out at one of the nation’s top Ivy League schools. On Monday, more than 1,000 students at Yale University in Connecticut held a march over racism on campus. The "March of Resilience" comes after several incidents where students of color said they faced discrimination. One woman of color was reportedly denied entry to a fraternity party because she is not white, and a faculty member drew criticism after rejecting calls for students to avoid culturally offensive costumes on Halloween. Monday’s crowd chanted slogans including: "We are unstoppable, another Yale is possible." We are joined by Lex Barlowe, African American studies major at Yale University and the president of the Black Student Alliance. Our struggle will continue, and we shall win. There are courageous people among every generation who are willing to speak truth to power, and take an active stand against the historical and present-day racial injustices in this nation and throughout the world. Bree Newsome is one in that long tradition. This is what courage looks and sounds like. As South Carolina state lawmakers begin debate on whether to remove the Confederate flag from the grounds of the state Capitol in Columbia, we are joined by Bree Newsome, the 30-year-old African-American woman who took down the flag herself. On June 27, 10 days after the Charleston massacre and one day after the funeral for the Rev. Clementa Pinckney, Newsome scaled the 30-foot flagpole at the state Capitol and took the flag in her hand. "I come against you in the name of God!" Newsome said. "This flag comes down today!" As soon as she reached the ground, she and fellow activist James Tyson were arrested. The protest went viral and was seen around the world. Newsome and Tyson join us to discuss their action in an extended interview. Church bells tolled Sunday and hundreds filled the church’s pews of the historic Emanuel AME Church in Charleston, South Carolina, for the first service since Dylann Roof’s attack on a Bible session in its basement last Wednesday. An estimated 20,000 people formed a Bridge to Peace unity chain on the Ravenel Bridge to show solidarity with his victims. A website discovered Saturday called "The Last Rhodesian" shows photographs of Roof at Confederate heritage sites and hosts a 2,500-word manifesto he is believed to have written that explains why he chose to carry out his mass murder spree. "Roof might have been a high school dropout, but he was an excellent student, it seems, of the white supremacist world," says Richard Cohen, president of the Southern Poverty Law Center. He is co-author of an editorial published today in The New York Times titled "White Supremacists Without Borders." Wednesday’s massacre of nine African-American churchgoers by white supremacist suspect Dylann Roof have reignited protests over the Confederate flag, which still flies on the grounds of South Carolina’s Capitol. In photos posted online, Roof is seen posing with the flag and in front of a car with a front license plate that reads, "Confederate States of America." "People’s tax dollars ought not go into supporting the idea of the Confederate States of America," says Kevin Alexander Gray, a South Carolina civil rights activist and community organizer who edited the book "Killing Trayvons: An Anthology of American Violence." As former president of the state ACLU, he argued, "the flag flying on the statehouse dome was compelled speech. You were compelling people to support an ideology of white supremacy." Segment 3: "A Classic Case of Terrorism": Is FBI Ignoring White Violence by Refusing to Call Roof a Terrorist? Civil rights activist Kevin Alexander Gray and Richard Cohen, president of the Southern Poverty Law Center, discuss whether the shooting in Charleston was an act of domestic terrorism. "Dylann Roof was a human drone, and every Tuesday morning the Obama administration uses drones to kill people whose names we don’t even know and can’t pronounce," Kevin Alexander Gray says. "So I don’t know if I feel comfortable with the idea of expanding this word 'terror.'" But Richard Cohen calls the shooting "a classic case of terrorism." "It’s politically motivated violence by a non-state actor and carried out with the intention of intimidating more persons than those who were the immediate victims," Cohen says. "I think in some ways it’s important to talk about terrorism in that way, not so we can send out drones, not so we can deny people their due process rights, but so we can understand the true dimensions of what we’re facing." I was very fortunate to have spent many of my childhood years growing up around, and to some extent getting to know, my grandparents. There were many lessons they tried to teach us, rules for living really, that I've always remembered and still reflect on in my adult years. The most consistent messages were to always listen to my parents, and to always seek out as much education as we could possibly get. As for listening to our parents, our grandparents were absolutely clear that our parents had a responsibility to be hard on us, but that they knew far better than we did what it would take for us to grow up and be successful in this country and in this world. They also made it clear to us that our parents knew what was at stake if we didn't listen, and if we didn't grow up to be responsible and hard-working. They helped to translate the rhyme and reason for the strict childhood we were experiencing. The stakes have always been high for our children growing up in such a racist society. And as much as our grandparents may have spoiled us, they also didn't play games. We did chores around their house, we ran errands for them and we did anything and everything they asked of us. And when necessary, they disciplined us just as 'intensely' as our parents did. Our grandparents didn't play. In terms of education, they made sure we knew that formal schooling (as in going to school to learn and get diplomas, degrees, etc.) wasn't always allowed for our people, and that anything we wanted to be and do in life would require a strong educational foundation. They also made it clear that there were some things we needed to learn that wouldn't be taught in textbooks... like respect for elders, how to conduct ourselves in public (we represent our parents and extended family at all times), how to treat other people and our lifelong responsibility to our family and community. It was clear that getting an education wasn't just about our own individual success, but those were all tools and processes we needed to exploit in order to make our mark - in support of our community - in this world. While there was so much that I did get, the one thing that I wish I got more of directly from my grandparents was greater insight about what their childhoods were like - what it was like to have grown up so close to the years during which our people were enslaved. I appreciate now how hard and traumatic some of those memories were, and also how their insistence on being forward-looking accounted for a lot of that. The good thing is that my parents, as well as my aunts and uncles, have over the years helped me and some cousins understand what those earlier years were like. Now, in my adult years and as a parent of two growing children, I watch with great appreciation as my children interact with their grandparents, as well as with their great aunts and uncles. It's such a blessing that they get to soak up some of the same stories that I'm hearing for the first time, as young children. It's also powerful to watch them listen to some of the reflections from our elders about the long history of racism that we continue to fight. One of the most pronounced messages they're hearing is that this isn't new, and that there are a lot of lessons to be learned from the experiences - successes and no so successful strategies - of our long fight for freedom and justice so that they can be better prepared as the face and tactics of racism and white supremacy continue to evolve during their lifetime. I share some of these reflections as a reminder that we have so much to learn from our elders about life and about our history in this world. We can't blow them off, and we also can't afford to let their stories, experiences and wisdom leave us when they transition from this physical life. 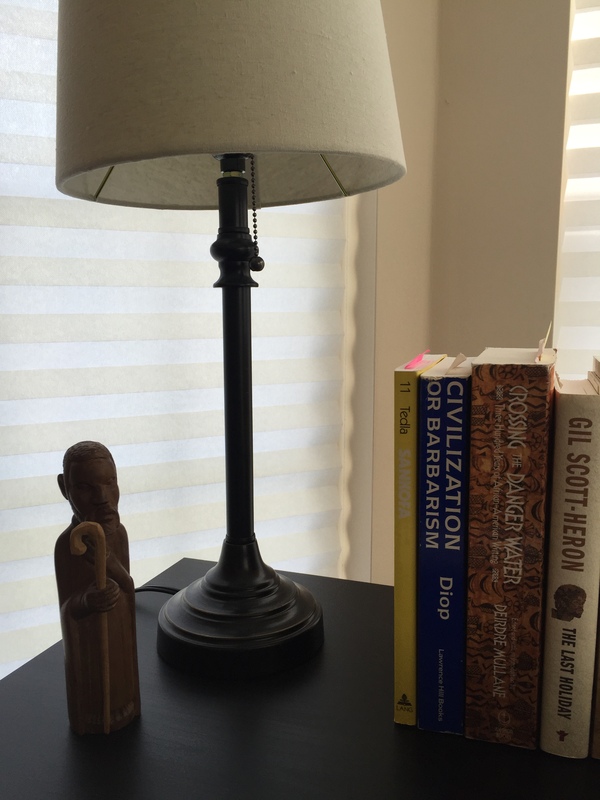 For years now, I have kept a small statue of an elder on my desk, and it reminds me of the many years of life that have been lived by others before me, and that have made it possible for me to be here. I, and we all, have to tap into that wisdom if we really want to turn this pathology of racism and white supremacy on its head. There's little new under the sun. And that's certainly true when it comes to our effort to heal and develop our families in the face of white supremacy. If more of us better understood the look, feel and ever-changing landscape of this racist pathology, we would be able to focus our energies and strategies so much more effectively. Studying our history is our best starting point, including both our ancient ways of living in the world and our collective response to racism and white supremacy during the lifetimes of our elders and ancestors. We have many elders in our midst right now. We should start today by asking questions, making sense of that experience and gaining any insight about how to apply it to today's circumstances. The only generational gap that can ever exist is the one that we deliberately refuse to bridge. Interesting remarks provided by First Lady Michelle Obama at Tuskegee University's commencement ceremony this past weekend. The message in a nutshell... Race and racism absolutely matter. But this is not new for us. Remember that other people don't define us, and can't ultimately keep us from our potential. You must be mindful of your place in the larger flow of our history, as you make your mark in the future. But whatever you do, remember the where, what and who that produced you. Ours is a sacred mission, and we must use our education to serve our people. ...And whether you played sports yourself, or sang in the choir, or played in the band, or joined a fraternity or sorority -- after today, all of you will take your spot in the long line of men and women who have come here and distinguished themselves and this university. You will follow alums like many of your parents and grandparents, aunts and uncles -- leaders like Robert Robinson Taylor, a groundbreaking architect and administrator here who was recently honored on a postage stamp. (Applause.) You will follow heroes like Dr. Boynton Robinson -- (applause) -- who survived the billy clubs and the tear gas of Bloody Sunday in Selma. The story of Tuskegee is full of stories like theirs -- men and women who came to this city, seized their own futures, and wound up shaping the arc of history for African Americans and all Americans. So while the Airmen selected for this program were actually highly educated -- many already had college degrees and pilots licenses -- they were presumed to be inferior. During training, they were often assigned to menial tasks like housekeeping or landscaping. Many suffered verbal abuse at the hands of their instructors. When they ventured off base, the white sheriff here in town called them “boy” and ticketed them for the most minor offenses. And when they finally deployed overseas, white soldiers often wouldn’t even return their salutes. You see, those Airmen always understood that they had a “double duty” -- one to their country and another to all the black folks who were counting on them to pave the way forward. (Applause.) So for those Airmen, the act of flying itself was a symbol of liberation for themselves and for all African Americans. And when he was up in the sky, Charles sometimes looked down to see black folks out in the cotton fields not far from here -- the same fields where decades before, their ancestors as slaves. And he knew that he was taking to the skies for them -- to give them and their children something more to hope for, something to aspire to. A few years later, when George Washington Carver first came here for his research, there was no laboratory. So he dug through trash piles and collected old bottles, and tea cups, and fruit jars to use in his first experiments. And while the history of this campus isn’t perfect, the defining story of Tuskegee is the story of rising hopes and fortunes for all African Americans. And now, graduates, it’s your turn to take up that cause. And let me tell you, you should feel so proud of making it to this day. And I hope that you’re excited to get started on that next chapter. But I also imagine that you might think about all that history, all those heroes who came before you -- you might also feel a little pressure, you know -- pressure to live up to the legacy of those who came before you; pressure to meet the expectations of others. Then there was the first time I was on a magazine cover -- it was a cartoon drawing of me with a huge afro and machine gun. Now, yeah, it was satire, but if I’m really being honest, it knocked me back a bit. It made me wonder, just how are people seeing me. So I immersed myself in the policy details. I worked with Congress on legislation, gave speeches to CEOs, military generals and Hollywood executives. But I also worked to ensure that my efforts would resonate with kids and families -- and that meant doing things in a creative and unconventional way. So, yeah, I planted a garden, and hula-hooped on the White House Lawn with kids. I did some Mom Dancing on TV. I celebrated military kids with Kermit the Frog. I asked folks across the country to wear their alma mater’s T-shirts for College Signing Day. And at the end of the day, by staying true to the me I’ve always known, I found that this journey has been incredibly freeing. Because no matter what happened, I had the peace of mind of knowing that all of the chatter, the name calling, the doubting -- all of it was just noise. (Applause.) It did not define me. It didn’t change who I was. And most importantly, it couldn’t hold me back. I have learned that as long as I hold fast to my beliefs and values -- and follow my own moral compass -- then the only expectations I need to live up to are my own. Because here’s the thing -- the road ahead is not going to be easy. It never is, especially for folks like you and me. Because while we’ve come so far, the truth is that those age-old problems are stubborn and they haven’t fully gone away. So there will be times, just like for those Airmen, when you feel like folks look right past you, or they see just a fraction of who you really are. The world won’t always see you in those caps and gowns. They won’t know how hard you worked and how much you sacrificed to make it to this day -- the countless hours you spent studying to get this diploma, the multiple jobs you worked to pay for school, the times you had to drive home and take care of your grandma, the evenings you gave up to volunteer at a food bank or organize a campus fundraiser. They don't know that part of you. Instead they will make assumptions about who they think you are based on their limited notion of the world. And my husband and I know how frustrating that experience can be. We’ve both felt the sting of those daily slights throughout our entire lives -- the folks who crossed the street in fear of their safety; the clerks who kept a close eye on us in all those department stores; the people at formal events who assumed we were the “help” -- and those who have questioned our intelligence, our honesty, even our love of this country. But here’s the thing -- our history provides us with a better story, a better blueprint for how we can win. It teaches us that when we pull ourselves out of those lowest emotional depths, and we channel our frustrations into studying and organizing and banding together -- then we can build ourselves and our communities up. We can take on those deep-rooted problems, and together -- together -- we can overcome anything that stands in our way. And the first thing we have to do is vote. (Applause.) Hey, no, not just once in a while. Not just when my husband or somebody you like is on the ballot. But in every election at every level, all of the time. (Applause.) Because here is the truth -- if you want to have a say in your community, if you truly want the power to control your own destiny, then you’ve got to be involved. You got to be at the table. You’ve got to vote, vote, vote, vote. That’s it; that's the way we move forward. That’s how we make progress for ourselves and for our country. And you don’t have to be President of the United States to start addressing things like poverty, and education, and lack of opportunity. Graduates, today -- today, you can mentor a young person and make sure he or she takes the right path. Today, you can volunteer at an after-school program or food pantry. Today, you can help your younger cousin fill out her college financial aid form so that she could be sitting in those chairs one day. (Applause.) But just like all those folks who came before us, you’ve got to do something to lay the groundwork for future generations. That pilot I mentioned earlier -- Charles DeBow -- he didn’t rest on his laurels after making history. Instead, after he left the Army, he finished his education. He became a high school English teacher and a college lecturer. He kept lifting other folks up through education. He kept fulfilling his “double duty” long after he hung up his uniform. And, graduates, that’s what we need from all of you. We need you to channel the magic of Tuskegee toward the challenges of today. And here’s what I really want you to know -- you have got everything you need to do this. You’ve got it in you. Because even if you’re nervous or unsure about what path to take in the years ahead, I want you to realize that you’ve got everything you need right now to succeed. You’ve got it. You’ve got the knowledge and the skills honed here on this hallowed campus. You’ve got families up in the stands who will support you every step of the way. And most of all, you’ve got yourselves -- and all of the heart, and grit, and smarts that got you to this day. And if you rise above the noise and the pressures that surround you, if you stay true to who you are and where you come from, if you have faith in God’s plan for you, then you will keep fulfilling your duty to people all across this country. And as the years pass, you’ll feel the same freedom that Charles DeBow did when he was taking off in that airplane. You will feel the bumps smooth off. You’ll take part in that “never-failing miracle” of progress. And you’ll be flying through the air, out of this world -- free. 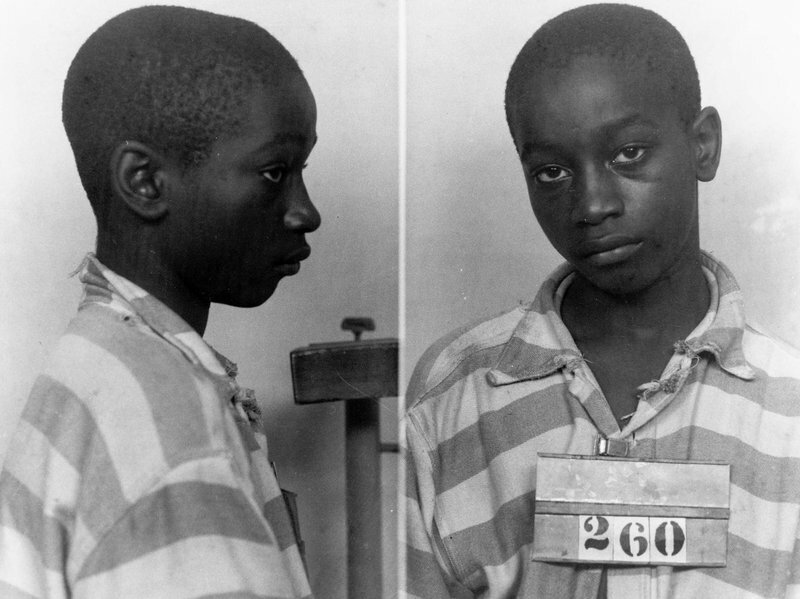 George Stinney, Jr., a 14-year old boy in South Carolina, was convicted and executed in 1944 of killing two young white girls. The 14-year old boy didn't have a chance in the old south. Stinney's trial lasted two hours. He was convicted by a jury within 10 minutes. Eighty-one days passed between his day of arrest in March 1944 and being convicted and executed on June 16, 1944. During that time his father was fired from his job, and the family forced to leave town under threat of lynching. He was left without the presence of active support throughout the process. But his family never gave up seeking justice in his case. Stinney was exonerated this week on December 17, 2014, approximately 70 years after his unjust conviction and execution. Constitutionally protected due process was not given... so says the court system some 70 years later. Practically everyone involved knew this was the reality at the time. You can read more... via NPR coverage or via Washington Post coverage. Bryan Stevenson discusses his new memoir, Just Mercy, detailing the influences that drove him to a career bringing justice to many that others tend to ignore. This discussion was aired Monday on NPR's Fresh Air (approximately 38 minutes). Listen below. Read more at Fresh Air. Interesting discussion from Democracy Now on Tuesday. This is an old pattern and problem, but - fortunately - new and younger people are now beginning to understand more clearly the ugly persistence of white racism and state-sanctioned oppression of Black people. Ferguson is the most recent and most naked example, between the actual execution of Michael Brown and the subsequent (and continuing) state occupation of the Black community in Ferguson, but be clear that there are many "Ferguson" communities all around the country that must get our attention. We go to the streets of Ferguson to speak with Rev. Osagyefo Sekou, a pastor from the First Baptist Church in Jamaica Plain, Massachusetts, who was dispatched to Missouri by the Fellowship of Reconciliation. "It is a tragedy that as a clergyperson I need a tear gas mask more than I need a collar to be able to do the work that I feel called to do," Sekou says. As protests continue in Ferguson, activists are traveling to Missouri to join the movement in solidarity. We speak with one activist who has just arrived to Ferguson from Florida, Phillip Agnew, the executive director of Dream Defenders, a network of youth of color and their allies who engage in nonviolent civil disobedience and civic engagement to bring about social change. "I came here to be part of resistance," Agnew says. "We have not seen a reaction of nonviolent civil disobedience [to] officers of the state like this in my lifetime." Agnew helped organize protests to the 2012 shooting of unarmed, African-American teenager Trayvon Martin in Sanford, Florida. The upheaval in Ferguson, Missouri, has called to mind the racial divisions that split open in the 1960s with a series of uprisings in cities across the country. In 1967, President Lyndon Johnson established what became known as the Kerner Commission to investigate the causes of the unrest. In February 1968, the commission famously concluded: "Our nation is moving toward two societies — one black, one white — separate and unequal." Just a month later, the assassination of Dr. Martin Luther King Jr. sparked uprisings in more than 100 cities across the United States, including Kansas City, Missouri, where the National Guard was deployed and at least five people were killed. We speak with Jamala Rogers, who was born in Kansas City, Missouri, and witnessed the 1968 uprisings. She recently did a commentary for St. Louis Public Radio titled "Kerner Commission Warning Comes True — Two Societies, Separate and Unequal." Rogers is a founder and past chair of the Organization for Black Struggle in St. Louis, Missouri. She joins us from the streets in Ferguson. As we continue to discuss the developments since the fatal shooting of unarmed black teenager Michael Brown by a white police officer, we turn to john a. powell, professor of law, African American studies and ethnic studies at the University of California, Berkeley. He is the director of the Haas Institute for a Fair and Inclusive Society. "The black community tends be overpoliced and underprotected," powell says. "That’s a very serious problem."